1. Take one glass of water and squeeze one lemon juice in it. Add 1tsp of honey and drink it daily. Drinking lemon water every day purifies the blood and safeguardÂ theÂ skin from any skin related disease. 2. Mix lemon and orange juice in equal quantity and apply it on your face and body.This solution removes away all the face and body dirt. 3. Take lemon, amla(Indian goose berry) juice, orange juice in equal quantity and mix them together. Massage this juice on your face and body. When dried rinse the juice off with water. You can take bath too after rinsing it off. Using this remedy every day adds glow to the skin and enhances complexion. 4. Take beet root juice (chakundar), tomato juice and turmeric in 4:4:1 proportion. Apply it on your face and body. Regular use enhances skin complexion. 5. Take 1 cup milk and squeeze medium size lemon in it. 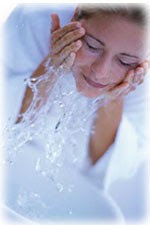 When milk gets rotten /curdled (fatna), apply it on your face and body. Massage this mixture in circular motion with the help of your finger tips covering your face and body. Take bath after the massaging. This will soften your skin and adds glow to it. 6.Face pack for oily skin-Take 1tbsp. of multani mitti(fuller earth powder),1 egg white,2tsp lemon juice,2tsp gulab jal(rose essence) .Mix all the ingredients together and apply it on your face for 15 minutes. When dried wash it off with water. 7. Face pack for dry skin-Take 1tsp multani miltti(fuller earth powder) ,add 1 egg yolk,1tsp. honey or olive oil and apply it on your face. When the paste dries wash it off with water.